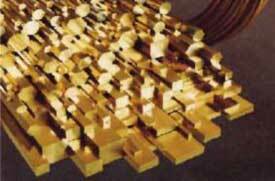 Brass shapes are utilized to manufacture hardware, mechanical, decorative, houseware, gears and archictectural applications. By utilizing domestic and foreign mill relationships which have been been developed and nurtured over three decades. 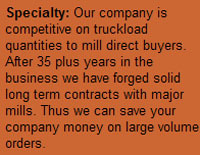 All Metal Sales Corp. is strongly positioned to match your brass shapes requirements to the perfect mill source. Available Shapes: Custom built dies to yeild a fine product from your prints. Available Tempers: As extruded and custom tempers. Available Sizes: Standard and custom sizes from .062" 8" high x .250" x 12" wide x 12' or custom saw cut.